I’m sure you’re curious, everyone with a juicer is, you’re wondering what happens when you put a banana in your juicer. Will you get delicious banana juice? Sadly you will not, you will just get a load of mushy banana fired into your pulp collector and a dry glass where the juice has come out. But that doesn’t mean there aren’t anyways you can incorporate banana into your juicing. At the time of writing this if you google “banana juice” you get a lot of different recipes claiming they’re banana juice. But in actual fact, they’re all banana smoothies. Now I know I’m going to be picky but I KNOW that juice and smoothies are different, of course, you can blend a banana into a smoothie, that’s not what you wanted to know. But when the alternative is an empty glass and a lot of mushy banana I suppose it’s OK. 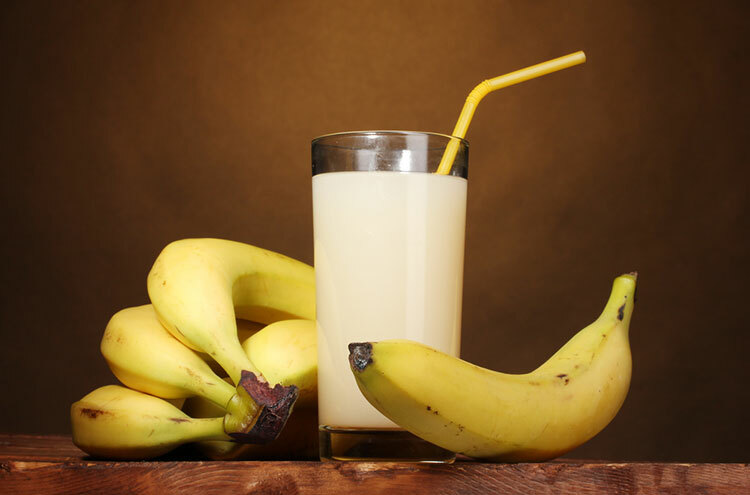 But blending up your banana into your juice can be an interesting way to get banana into your juice. 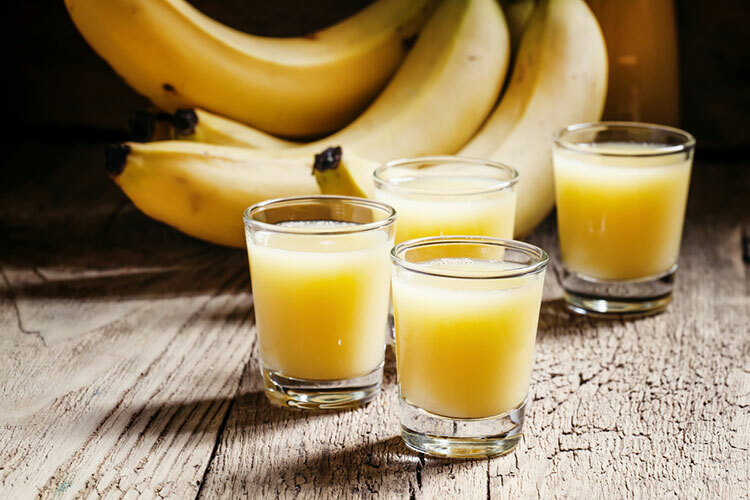 There are a few other things you can do to get banana into your juice and to enjoy banana from a juicer, none of them are traditional juice but they’re still pretty good. So one way I quite like is to make your juice in your juicer then pour it into a blender with a banana to mix it in, this does change the texture making it a little thicker but it can be really tasty and if you love banana a worthwhile endeavour to find the ultimate juice recipe. Pretty similar to the blender idea above but you can juice the banana first so that all the mushy banana pulp comes out then put that into your glass where you’re collecting the juice. Then juice as normal and the rest of the fruit or veg will catch the banana flavor from inside the juicer then be added to the pulp for a delicious banana concoction. It’s a little harder to clean after compared to using a blender because the banana tends to make a mess inside your juicer still an effective way to add banana to your juice. Finally, you can actually make banana soft serve by juicing a frozen banana, (works better in a masticating juicer because the slow speed stops the frozen banana from defrosting) but yeah, real simple you just put it through and then you get all the mushy frozen banana that’s just like a banana soft serve and works great as a desert. Through the research I was doing I did find two different ways of making a banana juice, it’s definitely not banana juice like you’ve ever made before but you do in fact start with a banana (or several) and end up with a banana flavoured liquid at the end. This is the far simpler of the two methods, you start with a few frozen bananas, then you simply put them in a bowl, cover with plastic wrap, and microwave for a few minutes. After that, you pour all the contents into a fine mesh strainer and let sit, and Voila, banana juice will be collected from underneath. So from there if you wanted to use it with other juice you could let it cool and mix it in, a longer process that your normal juicing but effective and easy. To get the juice you want to release the water that’s inside the banana, but this is actually bound to the starch so is harder to get out. But there’s something else in bananas called amylase that works to separate the water from the starch. This is a few more steps so I’ll list them out. Squeeze the air out and seal the bag before placing inside a pot heated to around 150 fahrenheit. Strain out the contents and enjoy. So this is essentially the much more thorough equivalent of the microwave method, and it starts with a lot of bananas but you get a full litre of juice by the end which is pretty good going! So technically you can juice a banana in a juicer but all you’ll get is banana pulp and no actual banana juice in a glass that you can drink. There are a couple of other ways which are more fiddly so personally, I’m going to keep my bananas for smoothies (or maybe even eating!) and leave the other ingredients to do the work for juicing.